Is there a certain activity your kids bring up all the time? You know, the one they wish they could do again and again. 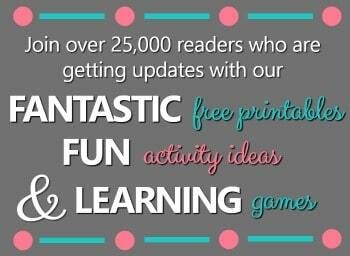 We have a few, but by far the most frequently mentioned activity is painting with rocks. 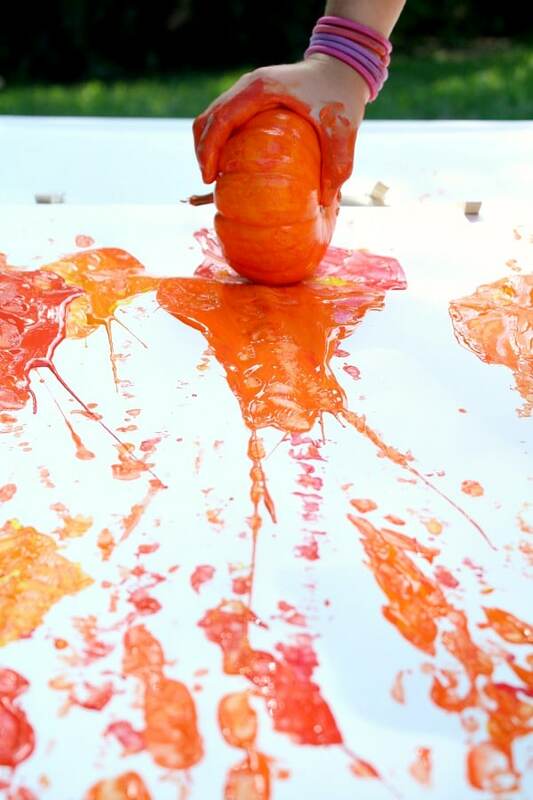 I think it’s the combinations of big art, messy play, and collaborative work that made that process art project stand out in their minds…and in mine. 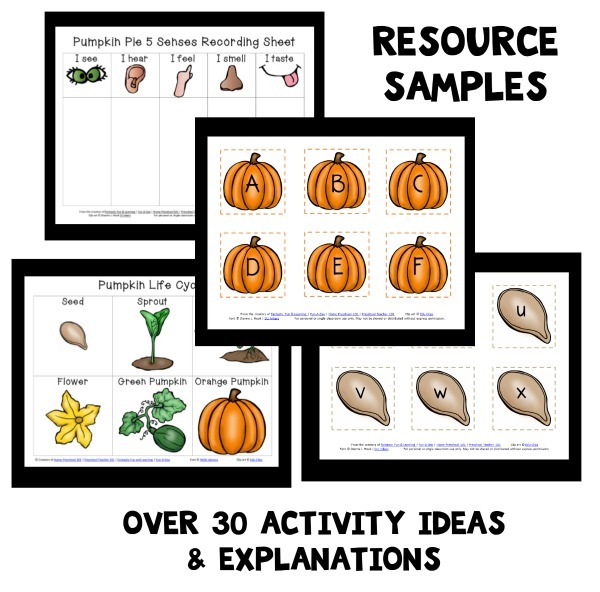 During the fall we always read The Runaway Pumpkin and Sixteen Runaway Pumpkins, and so I thought it would be fun to do some fall process art inspired by these stories. You guessed it! 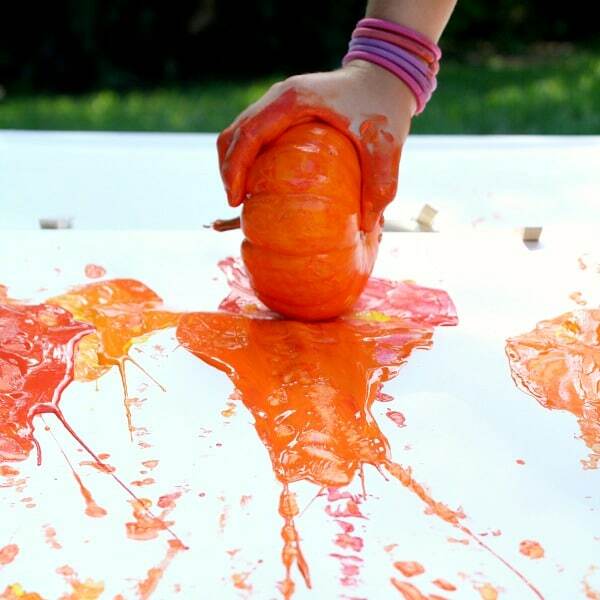 We’re painting with pumpkins in a big way with Rolling Runaway Pumpkin Painting. An incline of some sort-We put something together using large plastic bins and a firm lid to an underbed box. However, I’d recommend going as big as you can especially if you are working with a group of children. In our original painting with rocks post we used a small kids’ table and a large piece of cardboard. Look around and see what you have on hand that would work well for this project. Remember that the ramp itself needs to be strong (or supported in the middle) to hold the pumpkins. 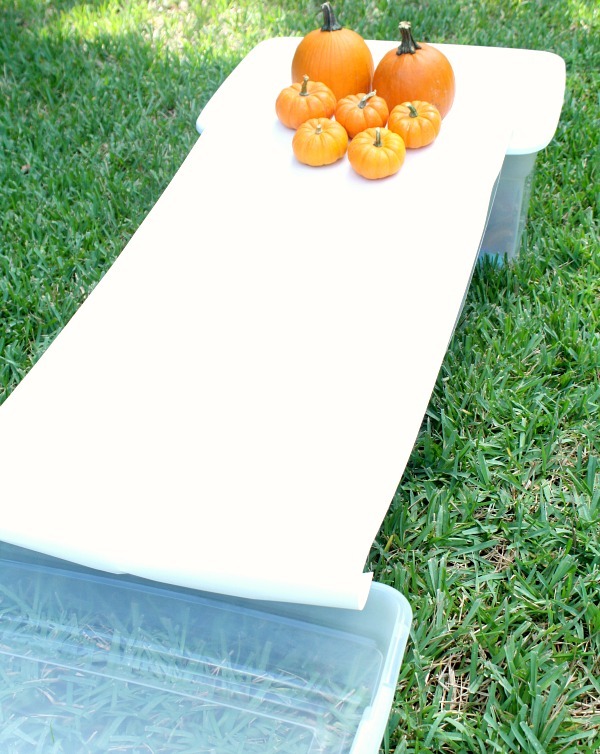 A bin or mat to catch the runaway pumpkins-This is more of a personal preference, but it helps keep the pumpkins from rolling into dirt or grass (or from spreading paint beyond the area you want to have to clean up later). Small round pumpkins-We used real pumpkins, but you could try craft pumpkins as long as they are heavy enough to roll through the paint and not get stuck. Something to secure the paper-I secured our paper with clothespins. You could also try tape. A bin or hose to clean up with when you are finished-Trust me. You’ll need it! I didn’t really offer any directions for this activity. The girls were eager to test out rolling their pumpkins. 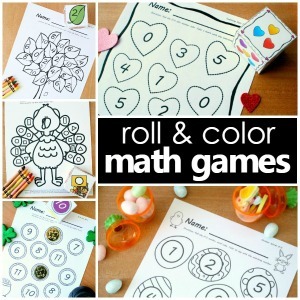 Some kids might also want to stamp on the paper instead of rolling. The girls spent time experimenting with how much force to apply to the pumpkins and how to turn them to go in the direction they wanted them to go. 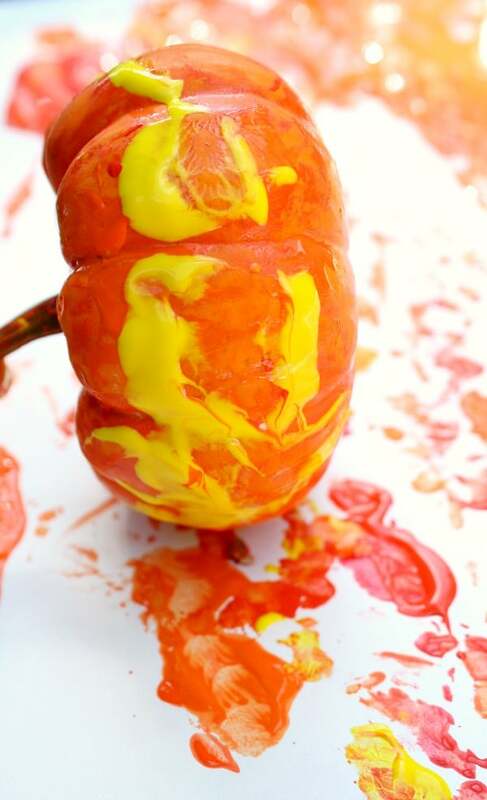 We kept adding paint as needed, and we included some yellow and red paint with the original orange to give their final creation some extra color. This was definitely a messy activity but well worth the clean up. Just make sure kids are in play clothes or wearing smocks if needed. And don’t do all the cleanup yourself. Set out a plastic bin of water and let kids wash the pumpkins (and their hands) while you put away the other materials. This helps make clean up almost as fun as painting!